Lovett went 244-106. That’s a 70% winning percentage. How does his record stack up against head coaches in Georgia state history? 244 wins would be 32ndall time in Georgia. And of the 31 coaches ahead of him, only 9 won all their games at one school, like George Pribish (who previously coached out of state). His Lion teams made the playoffs 26 of the 29 years; including the last 17 years in a row. In those 3 seasons in which the Lions did not make the playoff, his defense gave up an average of 14 points per game. He won a state championship in 2013. The opposition, Lamar County, scored only 7 points in the championship game. Lamar Co. entered the game averaging 42 points per game. 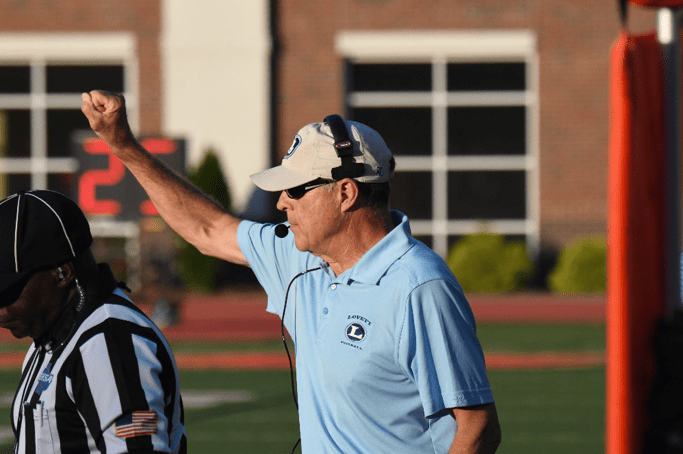 He coached 29 All-State Defensive players in his 29 years, including the states Defensive Player of the Year in 2013 (Charlie Ingram) and Grant Haley, who currently starts as a defensive back for the NY Giants.